The current wave of radicalization among numbers of Muslim youth in Europe is obliging intelligence services to reconsider its approach to tackling jihadism, though this would not be without controversy. As was recently revealed, the UK’s domestic security service MI5 once tried to recruit Mohamed Emwazi, also known as Jihadi John, the ISIS executioner who appears in their bloodiest films. Emwazi rejected the approach of “Nick”, his would-be MI5 handler, and is now notorious for the acts he has carried out since then. What if his recruitment had been successful? An interesting comparison that comes to mind is with the Israeli intelligence services, who have a reputation for really knowing the right buttons to push of their recruitment targets among radical Palestinian groups. By and large, Israeli officers speak a very good level of Arabic, many of them with the local Palestinian dialect. Many have lived in the occupied areas and become accustomed to their values and culture. As a result, the relationship between an officer and his target could be trusting enough to lead to intelligence acquisition triggered by long-term acquaintance and co-operation. It is no surprise that many retired officers became well-known journalists and pundits specializing in Arabic and Islamic affairs. This may seem to make sense, but the penalties of intelligence failure can be great. In Afghanistan in 2010, misguided target profiling led to a number of casualties. The infamous Khost attack on seven CIA officers in January that year was the direct result of the appointment of the Hashemite Prince Ali bin Zeid as the case officer, who failed to convince the Jordanian al-Qaida bomber to cooperate with Jordanian intelligence. For political reasons, the Prince was drafted onto the case, but the wisdom of this is questionable: would a Hashemite prince ever have the credibility to appeal to and recruit a would-be bomber? The royal family in Jordan lacks popularity among the grassroots, let alone among those who already developed a conviction of jihadism. The Hashemites are perceived as proxies of a Western “anti-Islamic” axis among large segment of the Jordanian society. Due to the obvious differences in their socioeconomic, cultural and ethnic background, the prince was clearly unable to establish and build a relationship of trust with the Jordanian bomber. Worse, it seems that the bomber understood value of his would-be handler, and so sought greater retaliation rather than cooperation. At that time, the royal family was desperate for a victory against al-Qaida, and perhaps financial reward from the US. 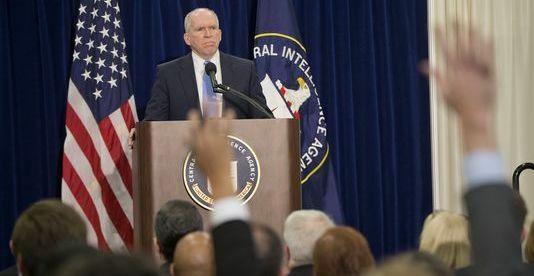 At a time when under-resourced Western intelligence agencies are fighting a wave of radicalization, there are lessons to be learned. To refer to the Jihadi John case again, it seems that Emwazi had already attained a clear identity constructed upon extreme conviction and increasing hostility to the British values and society. His recruitment may have stood better chance of success if handled by someone who belongs to the same ethnic background and socioeconomic class. Using a recruiter called “Nick” – we assume he is of British decent – would stand less chance of success, given that in Emwazi’s subconscious, should he accept the offer, he would see himself working “for” British intelligence, rather than “with” them. Through his subsequent acts, Emwazi rejected utterly the offer, reinforcing his own definitions of his jihadist identity. The upshot seems to advocate a practice which is not necessarily related to discriminatory racial profiling but instead a technical distinction which sees greater chances of success based on connecting similarities between intelligence target and handler. Faced with this wave of high-stakes radicalization, it is important for intelligence services to consider approaches that will make these identity-challenged groups feel as if they have a connection to the Western societies in which they live. Success depends on understanding the target, including ethnic and socioeconomic background, controversial as it may sound to some. Samer Libdeh is Senior Associate at Albany Associates, UK. Previously he was Head of Communications at the British Embassy in Amman, and has held senior positions in number of American and British think-tanks.